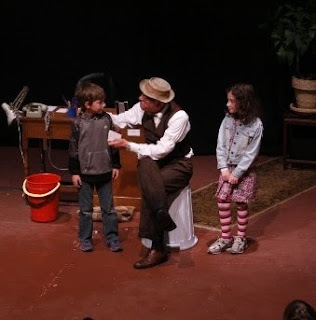 MR. FUMBLEBODY, is a hilarious show for families, combining physical slapstick with vivid audience participation and on the spot improvisations. It’s the story of an ordinary day with Fumblebody at his “Help Agency”. People call him at his office to get help in solving all kind of problems. No problem is too little, no problem is too big! The audience will pretty soon understand that Fumblebody himself is the one in need of help.